This Mother’s Day, we’re going back to the basics to please every mama: tasty teas, chocolates & confections, and bountiful baskets. But don’t worry—just because we’re old souls doesn’t mean we have no new tricks. We created a new spring gift line and chose three of our favorites to highlight for you. They’re sure to dazzle even the most demanding mom (or mom-to-be)! We thought long and hard about what would make Mom feel the most warm and fuzzy, and this is the result. 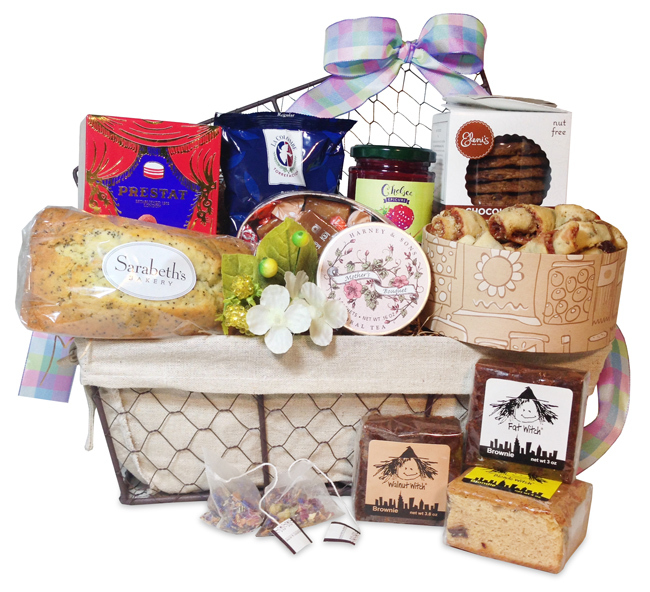 Chock full of delectables from all over Chelsea Market, our Chelsea Market Sweets Mother’s Day Basket ($94) will make her morning. If you want to truly spoil the mothers in your life with everything from specialty chocolates to caramels to beverages to baked goods, look no further! And while we built this gift to send to others, we won’t judge you if you order one for yourself. 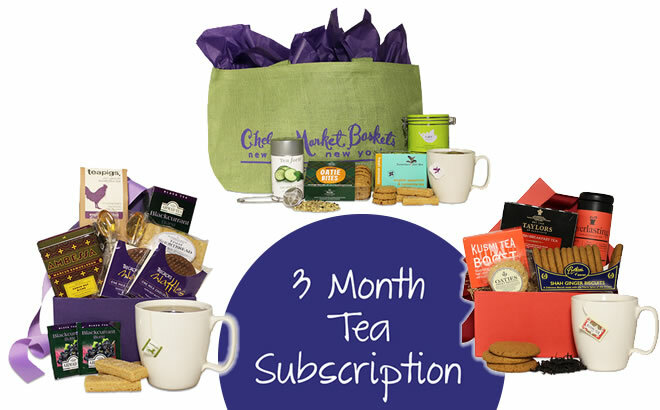 Tea & Cookies of the Month Club! May we introduce to you, making its world debut—our Tea & Cookies of the Month Club (Special Introductory Price, $125)! We developed a program that delivers three months of delicious sachets, loose leaf blends, and accompanying dunkables grouped together in coordinating collections. You can look forward to: the Red Collection, a lovely mix that will connote your love; the Purple Collection, a royal box filled with rich offerings; and the Green Collection, a tote full of rejuvenating beverages. Why send mom one gift when you can send three? Like what you see, but don’t want to commit to three months? Don’t fret—we’ve listed each collection separately on our website so you can choose the one that fits you or your mama best! 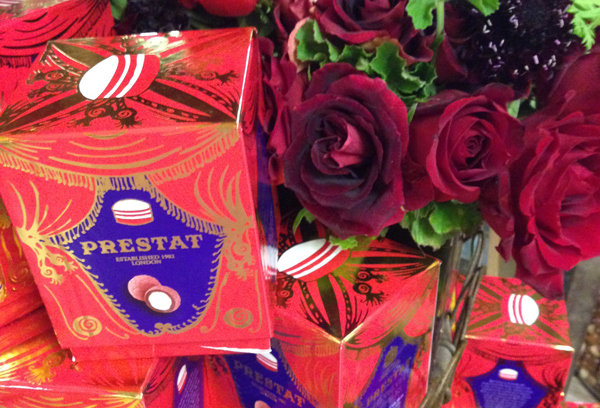 As we mentioned in our last post, celebrated English chocolatier Prestat Chocolates released their newest concoction this month, Red Velvet Truffles (On Sale Now! $19, reg. $24). Made as an edible accompaniment to the Brooklyn play, Red Velvet, these truffles are filled with a creamy icing and coated in ruby red raspberry powder. They graced the tables of many press- and actor-filled events—they’re famous in their own right! Bake mom a cake the convenient (and prettily packaged) way with a box of these fun new chocolates. Now go call your mother! She worries. Next post: Judging the Outstanding New Fancy Food Product of the Year?